One movie on this list I first saw in September of 2011, at the Toronto Film Festival. One I caught just three weeks ago. The #1 movie on this list I only realized I loved months after first seeing it. That's the odd thing about making a top 10 list at an essentially arbitrary date, and with full awareness that your opinion on all of these movies could easily change tomorrow, or in a month, or in a year. No Top 10 is ever truly settled, and most critics I know tend to regret them as soon as they're set. Not just for the films we haven't seen that didn't get included, but for the finality of it, and the nagging knowledge that you're never really going to know your top 10 of any year, period. 2012 was a really, really hard year to sum up in list form, and a top 20 would really be more appropriate to reflect the astonishing variety of blockbusters, out-of-nowhere successes and totally tiny arthouse stuff that grabbed me this year. A lot of these movies snuck up on me, only revealing their brilliance long after I'd written a review or thought I'd forgotten about it. Plenty of those not on this list did the opposite, making an amazing first impression and fading so quickly. But for better or for worse, here are the 10 that have stuck with me through the end of this year-- and the ones I think ought to stick with you as well. 2012 has been a really good year for movies; this is only the beginning of what was great out there. When I saw this at the Toronto Film Festival I wasn't even sure I liked it, put off by the rambling narrative and the lack of definition about Lancaster Dodd's religion and its impact on Freddie Quell. 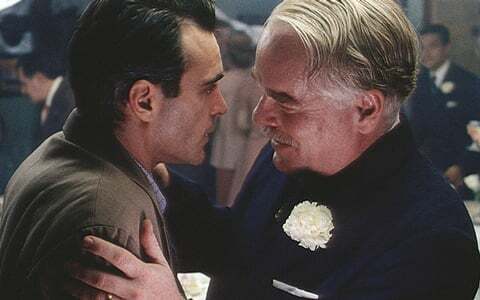 But the push and pull, deeply affectionate and constantly fractious relationship between those two men has stuck with me indelibly, and I'm still marveling at how Paul Thomas Anderson uses the lush 70 mm visuals to peer inside the mind of two unknowable men, coming away only with more questions that are far more satisfying than actual answers. Best Moment: Lancaster and Freddie say goodbye for the last time, and Dodd sings "Slow Boat To China" in a haunting, heartbreaking moment of regret. How do you refresh an old classic to bring it on screen yet again? Throw out the playbook and give yourself over to the high style, repressed emotions and minuscule complexities of the world from Leo Tolstoy's massive book. 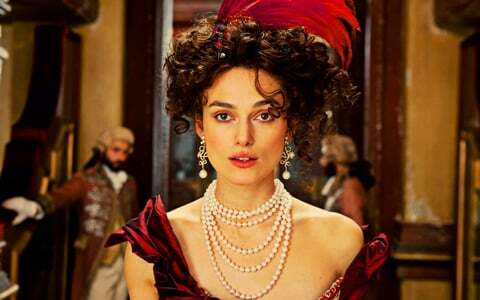 Joe Wright gives Keira Knightley the role of a lifetime as the doomed Anna, and surrounds her with the most exquisite sets imaginable, plus a supporting cast-- including Jude Law doing career-best work-- completely in synch with the film's elaborate style. The emotions of forbidden love and despair may be overly familiar, but Wright makes them dazzlingly new. Best Moment: The opening ballet sets up the old theater where the entire film will take place, and the characters whirl past each other as the sets miraculously change to keep up. After providing a grim outlet for Iraq War exhaustion with The Hurt Locker, Kathryn Bigelow and writer Mark Boal have more than outdone themselves, unspooling the complex and riveting tale of the hunt to kill Osama bin Laden. Beginning with an audio recreation of 9/11 and ending on the bewildered face of the woman (the amazing Jessica Chastain) who led the hunt, the film never loses sight of the emotional stakes, but revels in the tiny wonky details that led to immense rewards. The death of bin Laden was cathartic for an entire country, but this is the much more complicated, endlessly fascinating story that made that possible. Best Moment: Maya meets with CIA chief Leon Panetta (James Gandolfini) to show him how she found bin Laden's compound, and shows an incredible spine of steel. Richard Linklater's black comedy took me entirely by surprise when I caught it on DVD, winning me over with its depiction of a very real Texas town that adored its local undertaker Bernie so much they couldn't bear to convict him when he murdered the meanest woman in town. With Jack Black's natural showboating put to perfect use as the exuberant Bernie, and a Greek chorus of Texas-accented locals (plus Matthew McConaughey as the bulldog district attorney) to tell the tale, Bernie is as warm and energetic as its title character, with a deep streak of affection for a world where a story this strange is even better than fiction. Best Moment: The graphic representation of Texas geography, with a big question mark over the panhandle. Much like Anna Karenina, Sarah Polley's second film Take This Waltz takes the familiar feelings of new love and gives them visual translation, setting this story of a married woman (Michelle Williams) caught between her doting husband (Seth Rogen) and alluring new neighbor (Luke Kirby) in a vibrant, sweaty Toronto summer. The always-great Williams gives us every emotion of the torment her character has brought entirely upon herself, and Polley gives the film a dreamy, sometimes fantasy quality perfectly in step with those early days of infatuation. As bold and imaginative as her first film Away From Her was restrained, Take This Waltz is evidence that Polley will be a daring, intuitive filmmaker for decades to come. Best Moment: Margot falls asleep and dreams, briefly, about an imagined future, that for a moment we believe is a flash-forward. When the always provacative Michael Haneke made a film called Love, many assumed it was meant to be ironic or cruel. As it turns out Amour is about the exact best-case scenario in life: you fall in love with someone and stay with them until they are there to watch you die. Of course, with people living longer these days, that death is often protracted and horrible, something we become intimately familiar with in Haneke's starkly shot, brilliantly acted film. 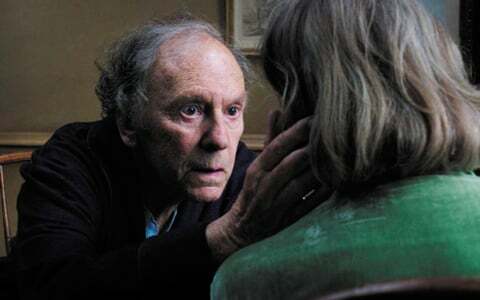 As Anne slowly dies and Georges struggles to be as good to her a possible, the real meaning of "love" comes into sharp focus, even as Haneke unflinchingly reveals on just how many things can be worse than death. Best Moment: After a moment of struggle in bed, Anne is suddenly lucid again and telling stories about the past. Boldly imagined, unerringly earnest and packed with makeup and wigs that don't necessarily always pass the sniff test, Cloud Atlas is a big galloping ball of emotions, with flaws that only make it feel more endearingly human. As each of its six stories reflect back on each other and make all of human history feel like echoes across time, the movie asks its audience to contemplate any number of big questions about the world, while also telling six stories that are entertaining and moving in their own right. It's a movie all about people daring to reach for something beyond themselves, and in making a film so outlandish and clearly personal, the Wachowskis and Tom Tykwer have done just that. Best Moment: In the distant past and in the far future, two former slaves-- David Gyasi's Autua and Doona Bae's Sonmi-451-- climb to great heights to find freedom. Director Lauren Greenfield was making a documentary about a Florida family building the country's largest private home when a much bigger story fell into her lap: the 2008 financial crisis. Suddenly that family, timeshare moguls David and Jackie Siegel, were identifying with the 99% as they sold off their private plane, curbed shopping addictions, and eventually defaulted on the mortgage for their own version of Versailles. In telling this tiny, utterly unusual story Greenfield gets at so much of the trauma from the financial crash, and introduces-- with remarkable sympathy-- Jackie, an unbelievably wealthy woman who may very well be just like the rest of us out there suffering. Best Moment: A Christmas party tries to evoke the wealth the Siegels used to have, with surreal results. Leos Carax's new film supposedly contains references to his past work and art house masterpieces from years past; I missed all of them. Instead I was completely enthralled by the lead performance by Denis Levant, playing a man with the highly unusual job of riding around Paris in a limousine, putting on various disguises, and stepping into possibly scripted dramas about everything from a father picking up his adolescent daughter from a party to a troll-like man kidnapping an American fashion model. 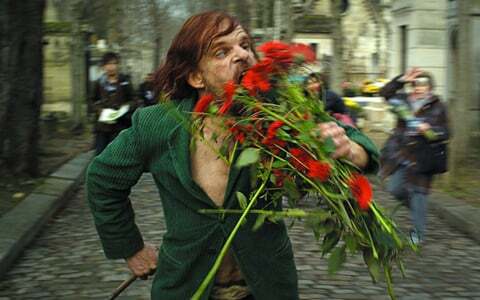 Holy Motors is bizarre and enigmatic, but has a welcoming and exuberant spirit that allows even Carax neophytes like me in on the mystery. Best Moment: The accordion intermission break. "Three! Twelve! Merde!" 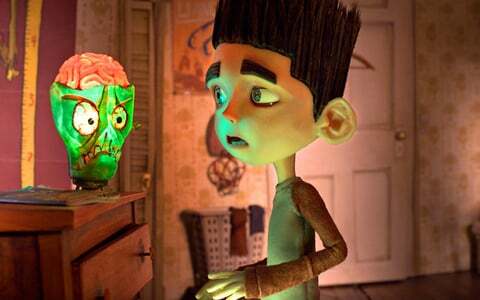 Exquisitely animated by the obsessives at Laika Studios, and telling a sobering story about all the modern-day possibilities of witch hunts, ParaNorman is a resonant story about a town and its mistakes, but also a goofy children's romp in which a kid tries to throw hummus to fend off a ghost. Just when you think the film will go in one expected route for movies about kids finding their purpose in the world, it adds some small new wrinkle or poignant twist, right down to the last-minute throwaway joke that's one of the most subversive moments in a children's film this year. It's the kind of smartly executed, crowd-pleasing film that you walk out of excited about all the possibilities of movies. Best Moment: Norman's confrontation with the witch.